A message telling people that a person from San Pedro, Laguna was infected with MERS-CoV is spreading virally via text and social media. The blog site ofwkuwait.net posted a screenshot of the text message, which claims that the patient from Pacita was first admitted at Evangelista Medical Center. While the patient was already transferred to the Research Institute for Tropical Medicine (RITM), the person's fellow jeepney passengers were "not yet contacted for examination," the SMS read. A similar but shorter version of the report was posted by a netizen on the Facebook page of DZMM Teleradyo. 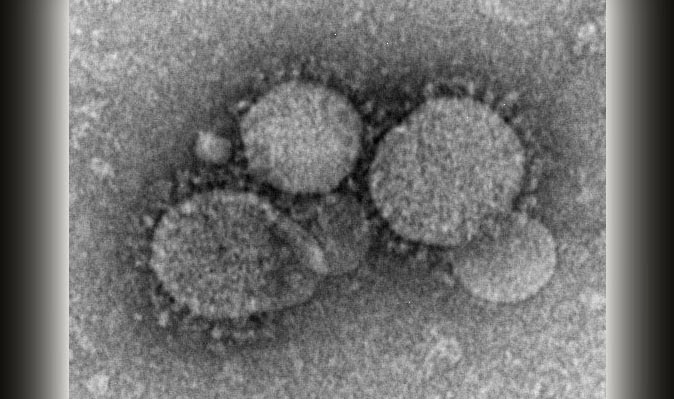 In a press conference last Wednesday, the Department of Health confirmed the first MERS-CoV (Middle East respiratory syndrome-coronavirus) case in the country. The patient was described as a 32-year-old Filipina nurse who arrived from Saudi Arabia last February 1. She reportedly had fever, breathing difficulties, and other symptoms of MERS-CoV. On Thursday, the DOH said they are having a hard time treating the patient because she is pregnant. It's still unclear if the nurse and the patient referred to in the MERS-CoV in San Pedro, Laguna text message are one and the same. Meanwhile, Malacañang urged the public to remain vigilant and follow the health advisories of the DOH on MERS-CoV. Communications secretary Herminio Coloma, Jr. said 10 individuals have been admitted to the RITM, six of whom had contact with the nurse during her confinement at a private hospital. The laboratory results for the ten, he said, are expected to be released by 10 p.m. Thursday, February 12. Coloma added that 63 of the 225 passengers on board Saudi Airlines Flight SV860, which carried the first confirmed MERS-CoV patient, were already contacted.